Our family sessions are filled with lots of hugs, kisses, big belly laughs and genuine smiles! 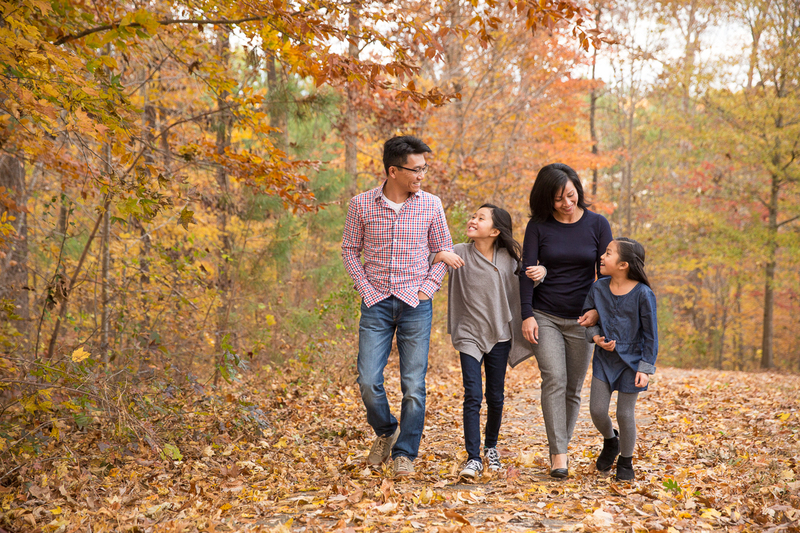 Our goal with every family portrait session experience is to learn your family's dynamic, find what makes you unique and how I can capture that during your our time together. Every session is carefully planned as a team to create a vision perfect for your one of a kind experience. Before your session I strive to find out as much as I can about you and your family. Whether that means coming by the studio to share a cup of coffee or chatting on the phone, I know your schedule is busy! Does your family love getting outdoors and going on walks at the park? Perfect, let’s plan your session at that same place that holds so many of your family’s memories! Do you spend your weekends Downtown at festivals and enjoying all of the newest local eateries? Love it! Let’s spend an afternoon walking the streets of your favorite spot and enjoying a little something from your go-to sweet treat shop. Or maybe your idea of a perfect weekend is at home battling it out on game night and snuggling up for story time? Whatever it is that brings you and your family joy, we want to be there to capture it! Once we have found the perfect location it is time to start planning your family's wardrobe. Trust me I know the thought of it can be very overwhelming but I promise it doesn't have to be. I will work with you to either coordinate your favorite pieces already in your closet or help guide you to selecting a few new pieces for your session. By the way, with my clients it is totally normal and totally acceptable to Face Time me from the dressing room for a second opinion or send me a dozen ideas you found while you were out shopping. It's okay, you've got this and I'm here for you! Ready for us to capture your family's memories? Contact us at hello@AmberFosterSmithPhotography.com to reserve your date. Amber Foster Smith Photography is a full-service boutique photography studio located in the heart of downtown Holly Springs, NC specializing in Family Portrait Photography. Servicing the Raleigh, Cary, Apex, Holly Springs, Fuquay Varina, Morrisville, Durham and Chapel Hill area. We offer portraits both on-location and in our professional photography studio by appointment.